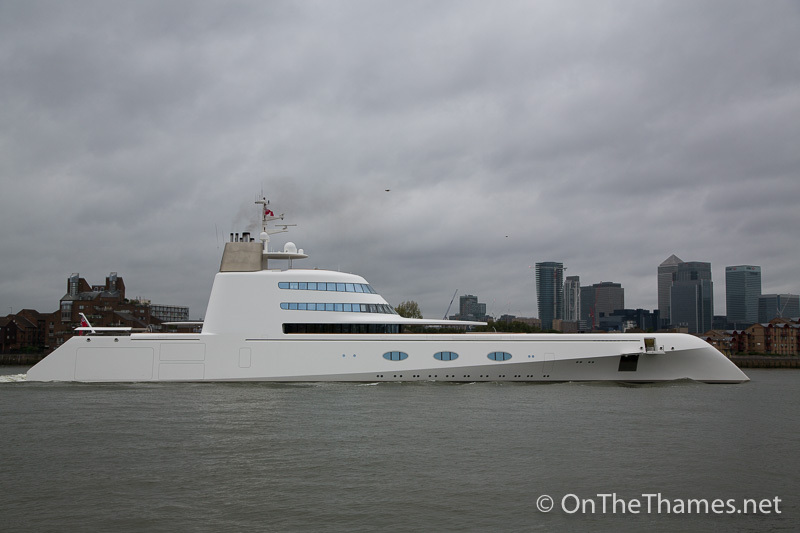 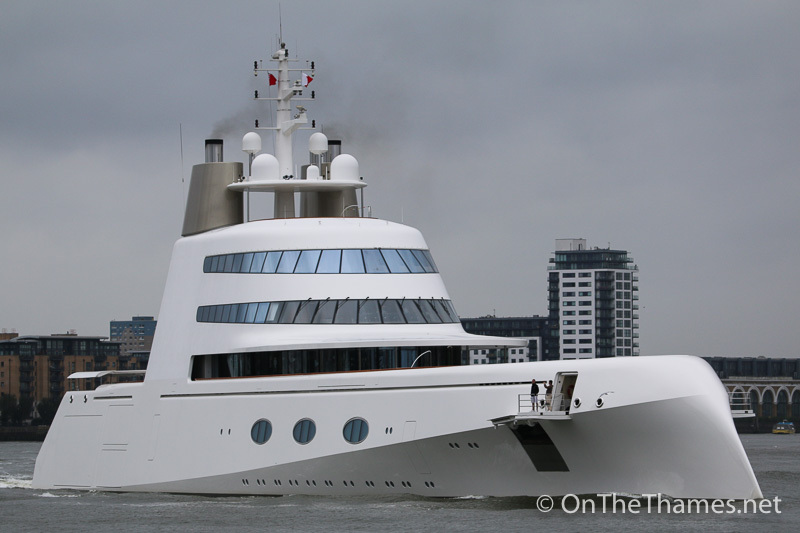 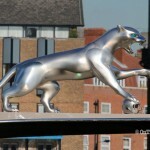 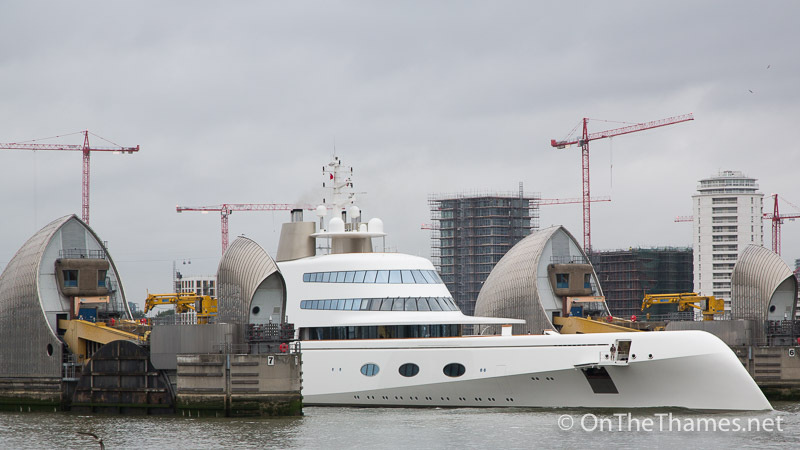 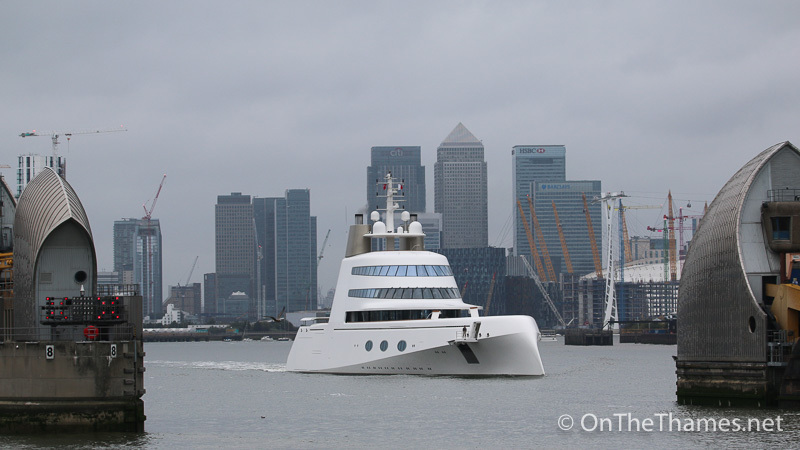 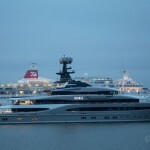 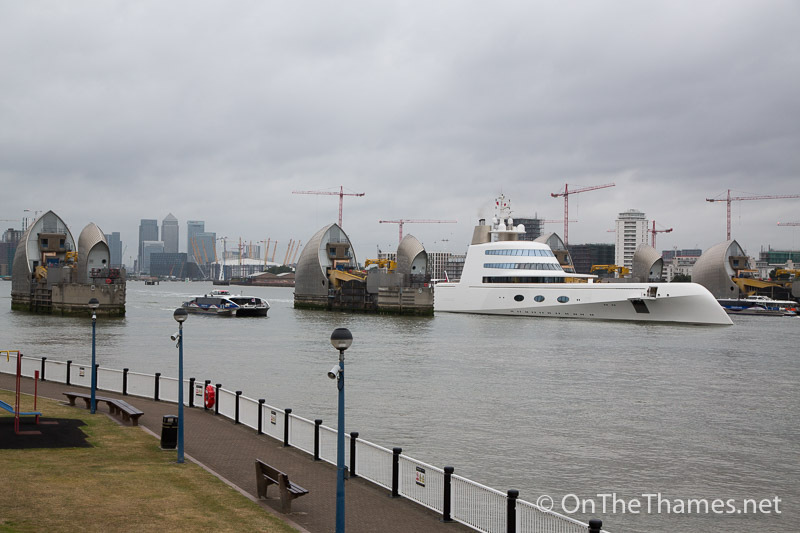 ONE of the most eye-catching and expensive superyachts ever seen in the capital sailed down the river yesterday morning. 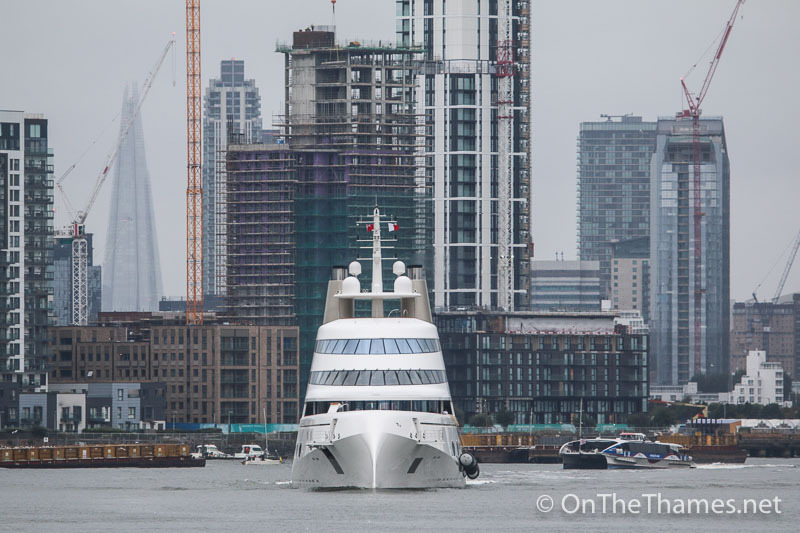 After a week of turning heads with its distinctive lines, Motor Yacht "A" departed under Tower Bridge at 0730 on Saturday morning. 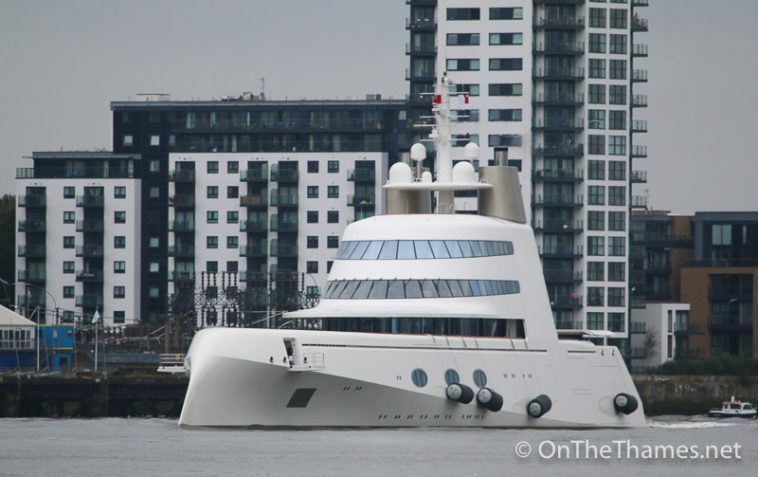 Reported to be on the market for about $300 million, the 119 metre long vessel was designed by Philippe Starck for the Russian billionaire, Andrey Melnichenko. 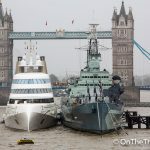 M/Y A was assisted backwards under Tower Bridge by Walsh's SWS Breda on a day which was as grey and wet as the one on which she arrived last week. 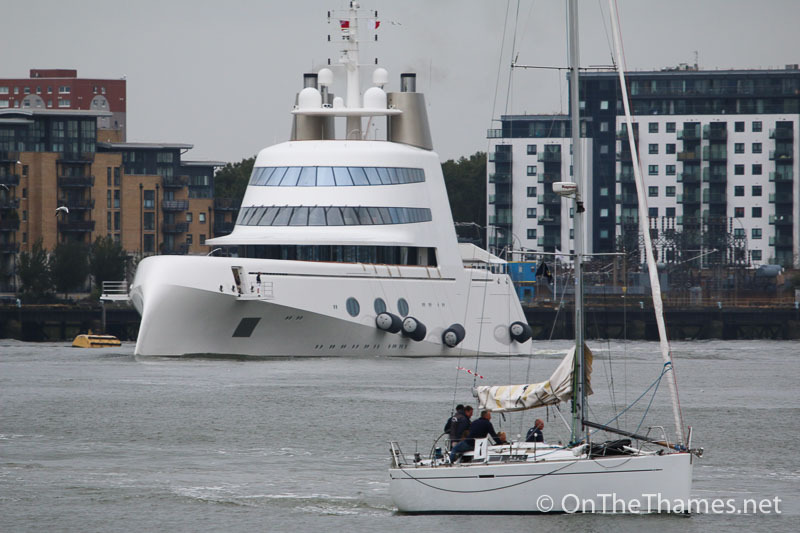 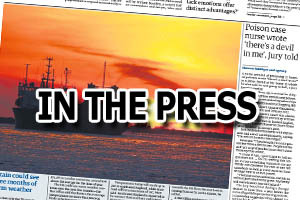 The yacht sailed down river and headed out to a mooring just off Margate where she spent Saturday night. 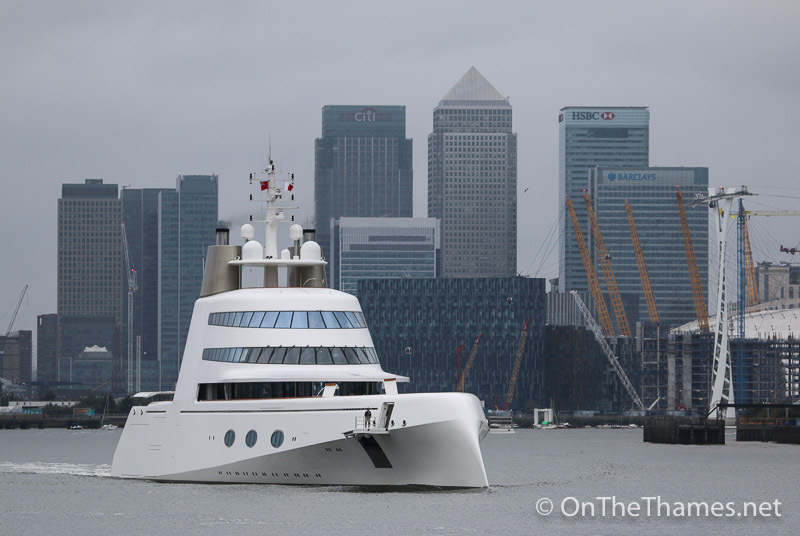 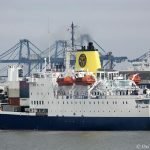 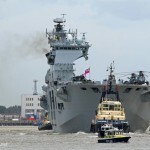 But we’ll never see its successor Super Yacht A in the Pool of London. 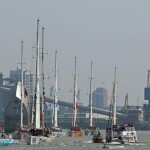 With 300 foot masts it wouldn’t pass under the QE2 bridge!